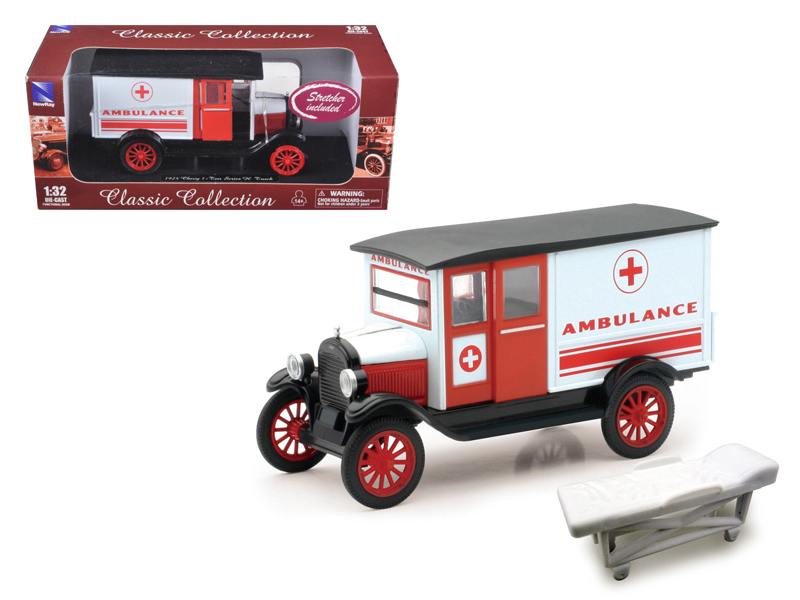 Brand new 1:32 scale diecast model of 1924 Chevrolet Series H Ambulance die cast? model by New Ray.Brand new box.Rubber tires.Has opening hood and doors.Made of diecast metal with some plastic parts.Detailed interior, exterior.Dimensions approximately L-4.5 inches long.Please note that manufacturer may change packing box at anytime. Product will stay exactly the same.